The decision came only days after Jerrod Fields, a United States Army corporal on a 2005 reconnaissance mission in Baghdad, had his left ankle and foot mutilated by a roadside bomb. After managing to drive his four troopmates back to base — valor that earned him a Bronze Star — Fields woke up in a hospital in Germany with a choice: have surgery and be discharged, or amputate and stay a soldier. "Cut it off," he said he told doctors. "I want to go back to Iraq." But the next medal Fields accepts could come in London. Four years after taking his first tentative steps on a prosthetic foot, Fields now sprints so fast that he is considered a top United States prospect for the 2012 Paralympic Games. "From the moment I started walking," Fields said recently, "I was ready to run." 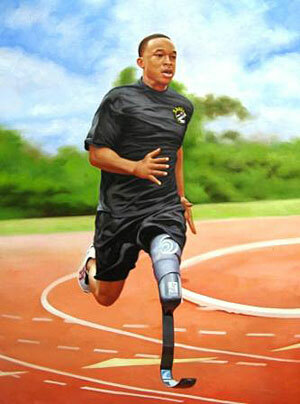 Fields belongs to the Army's World Class Athlete Program, which allows soldiers to train for the Olympics and the Paralympics while on active duty. Trading Army green for Paralympic red, white and blue would cap Fields's rise from Chicago-project orphan and gang hopeful to hero soldier and elite athlete.